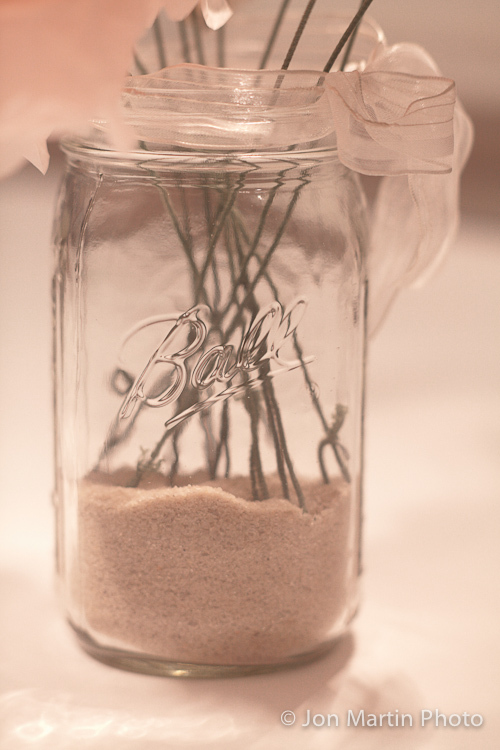 I took pictures for my sister-in-law’s wedding (mostly candid and I do plan to post a few pictures here eventually) back in September of 2011 and my wife was able to bring home some of the decorations that her mom made which you can see below. 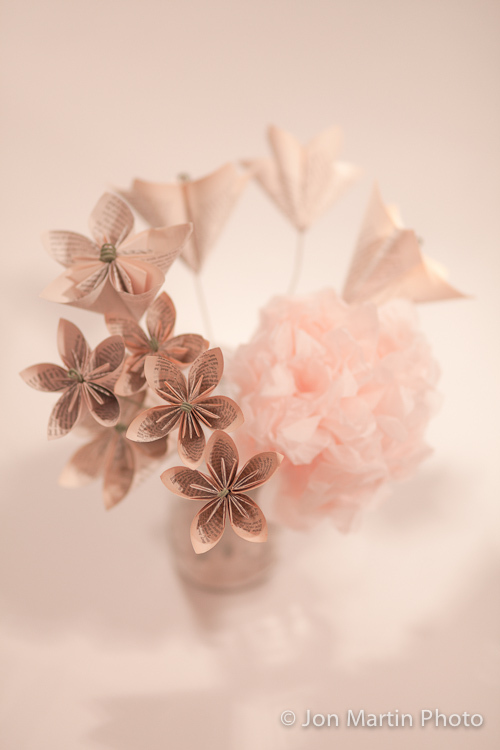 They’re paper flowers made from old thrift store books and they’re the coolest little things. Now I can’t help but read any text I see on crafts and artwork just to see if I can figure out where it came from. The tissue rose in the middle was made by hand by the bride and my wife on the day of the wedding because any day they’re together is a good day for crafts.